“Built in 1846 by Architect Edward Mesier, the bowed front of this building is more typical of row houses found in Boston, rather than in New York. The Greek revival doorway, and its eared architrave, frieze, egg and dart molding, and modillioned cornice are fine examples of the details particular to this style.” NYC Preservation Foundation. From 1930 until 1973, the building housed the Clinic Research Bureau, a.k.a. Margaret Sanger Clinic, where Margaret Sanger and her successors conducted research and provided contraception services. 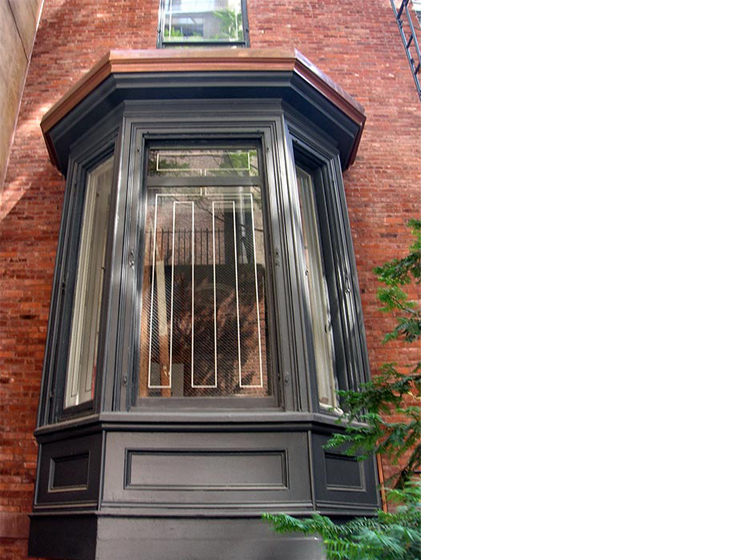 In 2006 Bone/Levine Architects inspected and developed a repairs program that included the historic restoration of the façade and rear elevation including the ornate entry door and cornices, installation of new windows, roof, HVAC systems, and a redesigned rear garden. The work was completed in 2008.